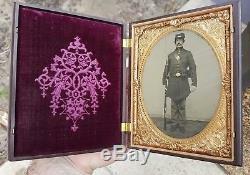 Here is a fantastic half plate tintype of an armed civil war Union soldier. The image is crisp and in excellent condition. It also comes in a very nice union case. Hard to upgrade this image. 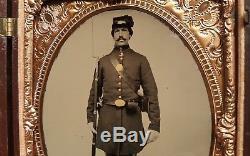 The item "Half plate civil war tintype of armed soldier with great union case exceptional" is in sale since Wednesday, August 8, 2018.